Alcohol detox always requires professional supervision as the side effects may be life threatening. Dangerous symptoms of withdrawal occur when alcohol is stopped and can present in people who have only been drinking for a short term or for many years. Other drugs increase this danger. Medical detox is imperative to ensuring safety. When a person with alcoholism stops drinking, withdrawal symptoms begin within 6 – 48 hours and peak about 24 – 35 hours after the last drink. 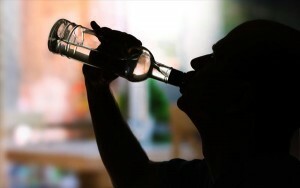 About 95 percent of people have mild-to-moderate withdrawal symptoms when stopping alcohol. Serious medical conditions can quickly develop during the withdrawal period including anemia, irregular heartbeat and liver damage. For this reason, an individual should always undergo a thorough medical evaluation from a professional trained in alcohol disorders. Seizures occur in about 10 percent of adults during withdrawal. In about 60 percent of these patients, the seizures are multiple. The time between the first and last seizure is often six hours or less. Increasingly severe and frequent seizures may lead to possible brain damage. Delirium tremens (DTs) is the term for withdrawal symptoms that become progressively severe and include altered mental states such as hallucinations, generalized seizures, confusion, and agitation. High fever is also common. DTs are potentially fatal. They develop in up to 5 percent of alcoholic patients, usually 2 – 4 days after the last drink, although it may take two or more days for DTs to peak. In 15 – 20 percent of people with moderate symptoms, brief seizures and hallucinations may occur, but these will not necessarily progress to full-blown DTs. The fatality rate can be as high as 20 percent in these individuals. Treatment usually involves intravenous administration of anti-anxiety medications and fluids. Since the dangers of alcohol withdrawal syndrome are so prevalent, a carefully monitored, inpatient medical detoxification is recommended. Medical detoxification should be implemented at the same time as an assessment. This assessment should examine medical, social, personal, spiritual, wellness, and psychological factors. After a thorough assessment of these and also any underlying psychiatric issues, addiction specialists can properly administer and monitor a medical detoxification regimen that is safe and comfortable. Detox is the medical treatment of the physical addiction to a substance. This complicated process involves using medications to assist in the gradual withdrawal from a dependency. The acute, first phase of medical detox takes approximately one week. The second phase of detox is known as post acute withdrawal or protracted abstinence syndrome. Though less acute, it is a period involving feelings of anxiety and “fuzzy thinking” that can take weeks to months to complete. This return to mental and physical balance is a delicate and vulnerable time for the former addict. During this period, recovery should be initiate. Residential treatment is one of the most effective tools in recovery from alcohol. The key to recovery is to learn the means to manage life without drugs. During detox and the early stages of recovery, it is necessary to work closely with medical and psychological professionals. Psychological disorders such as depression, or anxiety disorders need to be treated concurrently. Collaboration with their multidisciplinary treatment team in the development of a holistic treatment plan is key to sustained recovery. Likewise, medical detoxification and stability followed by treatment services, continuing care and recovery care services are the best and most effective steps in substance use rehab. During treatment, patients begin to regain health, and will start to rebuild relationships with their families. 12–Step integration practice provides an additional way to give and receive support. Developing an emotionally and spiritually rich life is key to recovery. This process must begin directly after detox. Ultimately, recovery must include meaningful fellowship and support from others. This includes addressing trauma and finding ways to manage stress and cope with difficult emotional situations. For recovery to be truly successful, the participant must develop an open and willing attitude. Once the struggle with the physical effects of alcohol stops, the person can accept help. Committing to recovery requires dedication to an ongoing, proactive, sobriety plan. Drugs, alcohol, problems? Call 844-843-8935 for solutions.